I am self-employed and have had Melanie complete my tax returns or the last few years. Having moved to her from another firm, I have been very impressed with her thoroughness and advice on a number of tax matters. Melanie offers a high level of quality at a very reasonable price. I have referred a handful of my clients to Melanie and they have told me that they are very happy with her also. Glenn Gaudet BA, CFP, EPC, CPCA Investors Group Financial Services Inc. I have had the pleasure of working with Melanie for over twenty years. She represented me in all financial areas of my divorce, guided me through the process of setting up & incorporating a very small business and has annually filed all my tax returns. 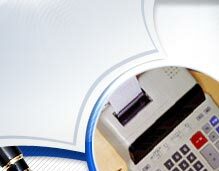 Every aspect of accounting that Melanie has handled has been highly professional on all levels. So much so that when I moved to Ottawa almost 3years ago there was never a thought to change a thing.